Broccoli is famously good for you. Learn how to choose it, store it, and—some may say most importantly—make the most of its distinctive strong flavor with this simple guide. Choose broccoli heads with tight, green florets and firm stalks. The broccoli should feel heavy for its size. The cut ends of the stalks should be fresh and moist looking. Avoid broccoli with dried out or browning stem ends or yellowing florets. Store broccoli unwashed in an open plastic bag in the refrigerator. If bought very fresh (i.e. at a farmers market) broccoli will keep up to 10 days. The vast majority of broccoli sold in North America is the standard green variety. But purple and golden varieties can be found at some farmers markets and specialty markets. They taste and cook up just like the green kind, but are particularly fun additions to a raw vegetable platter or salad. Rinse broccoli just before using it. For most preparations you'll want to cut off the florets from the stem or stalk. Most people toss the stem, but if you take the time to cut off its tough exterior, you'll discover a crunchy, delicious, tender snack. If you're serving the broccoli raw, you can crisp it by soaking it in cold water for about 10 minutes. Bring about 1/4 inch of water to a boil in a large frying pan. Add about 1/2 tsp. salt and broccoli florets. Cover and steam until as tender as you like (about 3 minutes for crisp-tender and up to 8 minutes for completely cooked, soft florets). For more details, see How to Steam Broccoli. Preheat oven to 400°F (although any hot oven will do the trick). Toss broccoli florets with olive oil and sprinkle with salt. Spread in a single layer in a baking pan and bake until florets are tender and browned on the edges. You may want to give this recipe for Roasted Broccoli With Chiles and Lemon a try. Heat a frying pan over high heat. Add oil to coat the bottom of the pan. Add broccoli florets cut into bite-size pieces (you can also include pieces of peeled stalk and even the broccoli leaves, if you like). 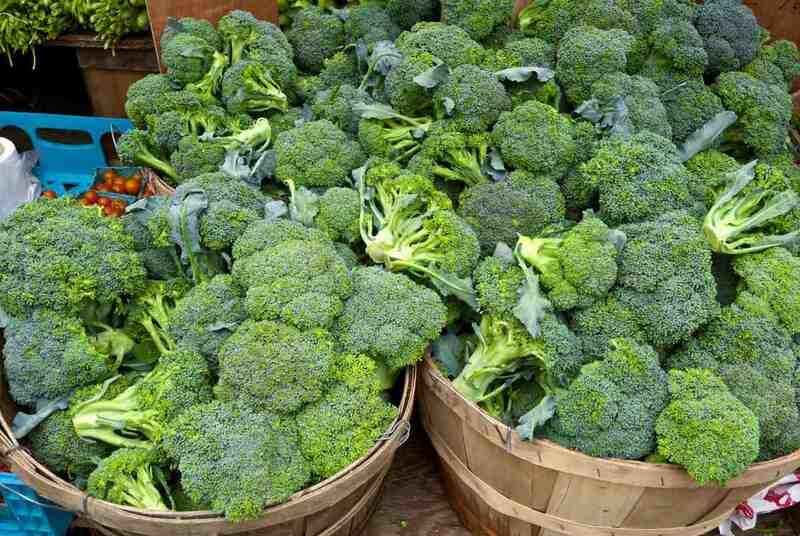 Cook, stirring frequently, until the broccoli is bright green and tender, 3 to 5 minutes. Serve with a sprinkle of salt and a squirt of lemon juice. Sauteed broccoli can be jazzed up with a clove or two of chopped garlic (added just before the broccoli), a dash of red chili flakes, a teaspoon of grated ginger, or a handful of chopped scallions. Adding broccoli turns humble pasta into a one-dish meal. While many recipes call for crisp-tender florets with penne, I prefer to cook the broccoli a bit more so it becomes tender and it starts to create a bit of a sauce on the pasta. Try Broccoli Walnut Pasta, Broccoli Olive Pasta, or Broccoli Sausage Pasta for fresh takes on this dish. Raw broccoli works great in salads - although if you want to tame its sharp flavor simply blanch it. Many people will throw a few florets in a salad, and that's great. I prefer to thinly slice or even shred broccoli to better harness its crisp-crunchy texture. See this Broccoli Salad With Lemon for one of my favorite uses.